This is the third attempt publishing the GSmart AutoReply Addon to the GSuit Market place. 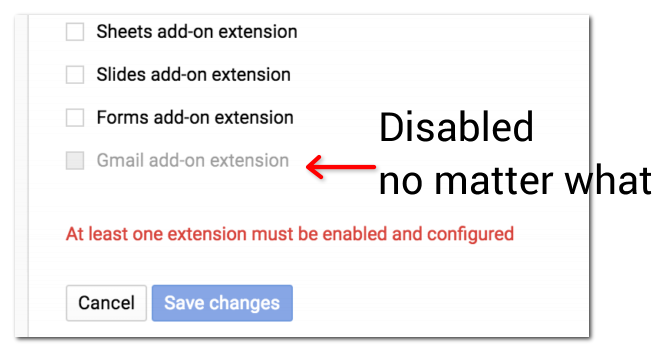 An issue that was reported with Google, someone suggested complete the Gmail Addon form. So that form was submitted again, this time taking screenshots and posting here. There was no response from the form other than a templated ‘Thank you’ at the end. After submitting the form, waited another week, and I am trying to submit the addon again to the marketplace. 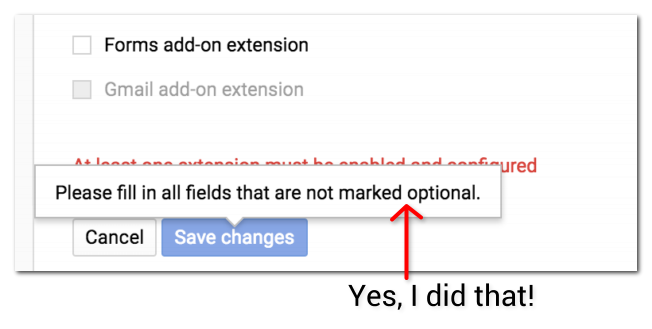 This time, the Gmail Addon check box is always disabled, the submit button is also disabled. The error seems to suggest that there is some field left unfilled. However, There is no field that I can see that can be filled. I tried entering all the visible fields just in case it enables the button. No success. So here we are again, waiting for the Google Developers to fix the marketplace submission form.